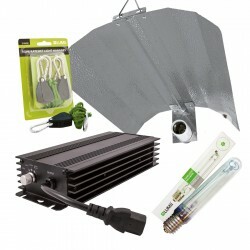 This full light kit includes: LUMii DIGITA 250W/400W/600W/BOOST ECO Ballast​ The LU.. This is a budget product for those who want to try without too much expense. The ballast is good but..